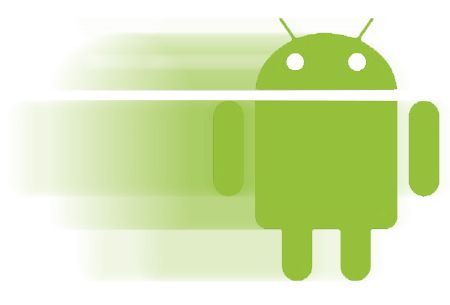 Most of the Users are moving towards android and after some period of time android phone gets slow down due to many reason, where main reason is android application. User download n number of android of apps and Install them which slow downs your android performance. Android Market has huge collection of android apps. Always Free up RAM which will speed up your smartphone atleast 20% , by clearing RAM you will be closing your apps, To run an application it takes RAM Memory, after clearing RAM memory will be released. This will restart your Application once you clear your memory. Once in a day you should free up RAM which will not only speed up your Android smartphone also it will save your battery usage. Android Operating System has inbuilt application, Some are useful but some are useless only uses storage space. In Android Memory space is limited and hence we will be not able to installed many apps due to the shortage of memory space. However to remove this Pre-Installed application you have to use apps like this Titanium Backup and Root Uninstaller . On Android Market their are many different widgets available on Home Screen. This widgets reduce the performance of the Smartphone. Where Widget is an type of application which uses Memory to run, this will be wasting the memory resources. This will help smartphone to run smoothly and also easy to manage your Home screen. Each Smartphone is enable with 3G, Wi-Fi and GPS connection,However this are most Important function of smartphone. But by using this function your Android phone will not only becomes slow, but also consumes more battery power. So always turn off your Internet connection, Data Roaming and GPS Connection. Animated Images and Screen saver runs continuously so they require Memory resource to Run, So this will effect your Performance and will slow down your smartphone. If you Turn off your Screen Animation it will surely Increase your Performance and will speed up your smartphone. I really appreciate this post !